Posted 09-10-2018 by Sherrel Stewart. 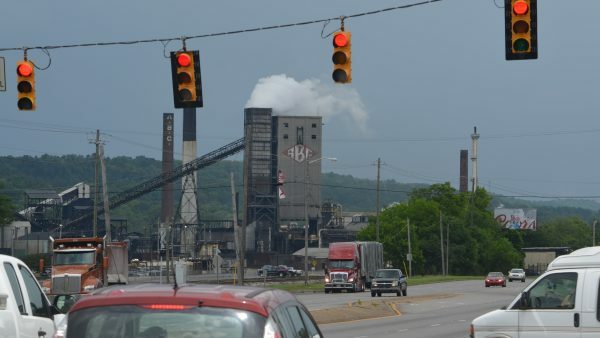 The Jefferson County Department of Health has extended the deadline for comments on the proposed renewal of the air emissions permit for ABC Coke. The move comes at the request of residents and environmental groups. Concerns about the permit heightened following a federal corruption trial where an executive with ABC Coke’s parent, Drummond Company, and a lawyer were convicted in a scheme to thwart testing for pollution near the Tarrant plant. Sept. 21 was the original deadline for comments on the proposed permit renewal. Now, comments will be accepted until Nov. 15. Two hearings are set for that date at the Department of Health at 10 a.m. and 7 p.m. Residents can also comment online, according to the health department. GASP, an environmental watchdog group, was one of the groups that requested the deadline extension. Michael Hansen, GASP’s executive director, encourages people to comment if they notice odors from the plant, soot on their property or have respiratory health concerns that may be related to pollution. “That’s the sort of thing the health department needs to hear about so that they can make the permit as protective of public health as possible,” Hansen says. The health department recently launched a media campaign and posted fliers letting people know about the comment period. Industries like ABC Coke are required to renew their air emission permits every four to five years, health department officials say. Jonathan Stanton, Jefferson County Department of Health’s director of Environmental Health Services, says they will send that feedback to the U.S. Environmental Protection Agency. If ABC Coke meets federal emissions standards, the health department could renew its permit. Stanton says residents can submit comments any time, not only during a proposed renewal period.